Messages are the communication links between Lifelines in a Timing diagram. 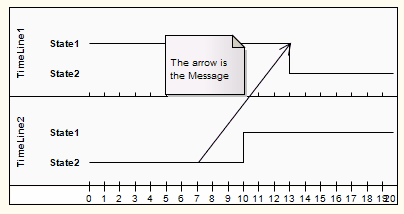 In the case of a Timeline, a Message is a connection between two Timeline objects. 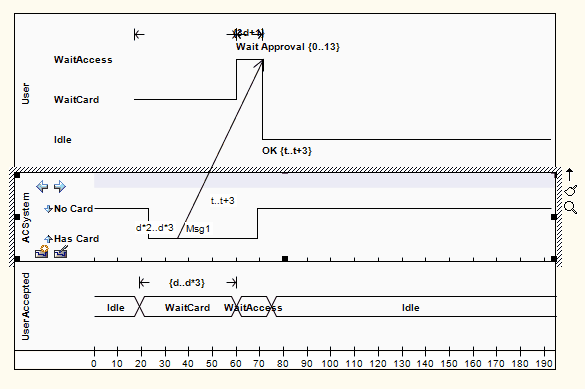 See UML Superstructure Specification, v2.1.1, figures 14.30 and 14.31, p. 520.